Amazing glass Christmas baubles with a full colour photo printed into the bauble. Available in Gold and Red. 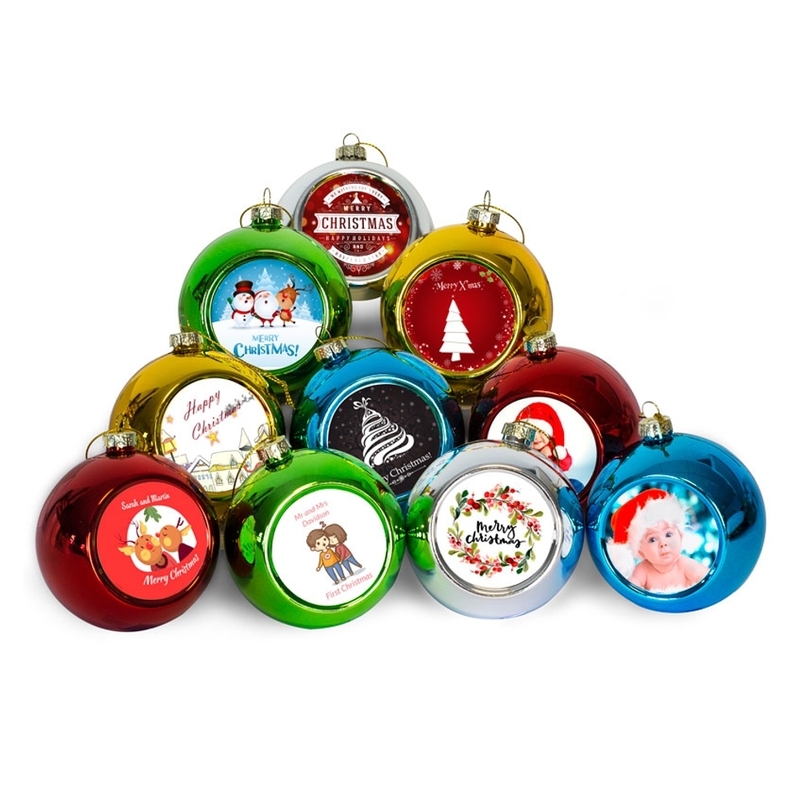 These glossy ornaments are supplied complete with a gold thread loop for hanging on a tree. The bauble is 80 mm wide and 70 mm deep. The picture is approx 51 mm in diameter. These great personalised items will make your Christmas. For all the family at Christmas Time.